The 2004 vintage was not generally declared, but some wonderful single quinta vintages were bottled. These 2004 Vintage Ports show an intense deep purple-red colour, a factor that was strongly influenced by the August rains that softened the skins and allowed for better colour extraction. The nose is lifted and fresh, again thanks to the cooler August weather. The taste is rich, firm and with good acidity and fine peppery tannins. These wines are most attractive and will age extremely well, making them an ideal 15 year old wine gift for an anniversary in 2019. Produce of Piemonte in 2004 is very promising with few extremes of weather and well balanced wines. In Tuscany, the year was an exceptionally good vintage, central Italy’s equivalent of the perfect growing season that France experienced in 2005. The 2004 wine vintage marked a return to a more classic Bordeaux vintage. The wines are more traditionally styled, and will make fine drinking for many cellars. The vintage seems a little under-rated compared with 2003 and the wines represent good value. 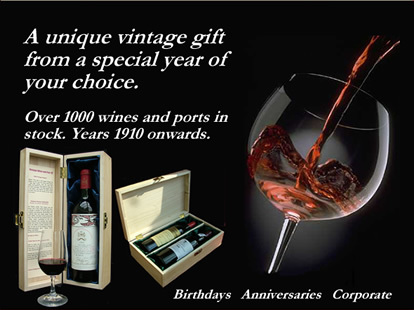 This lovely gift set comprises of two bottles of fine 2004 port and shows the diversity of the port styles. It includes a vintage port and a barrel aged port, both presented in a double dark mocha leather effect gift box as illustrated. Much more terroir on the nose here. Riper, more complex: very earthy with notes of wild strawberry and raspberry. This is a very smooth, suave Bahans. From the very good 2004 vintage, the Chateau d'Armailhac has a ripe, fleshy nose of cooked meats, red-berried fruit, leather and roasted herbs. The wine is medium-bodied, and a mature gamey palate. This wine from the very good 2004 is in a good place at the moment. Beautiful wine in a great place right now showing great value. Fruit forward for a Fronsac. With as much Merlot in the blend as the 1990 and 1996 the quality of this wine is as good as any vintage that winemaker Paul Pontallier can remember. This is as fabulous and exciting as the 2000 had been at a similar stage. 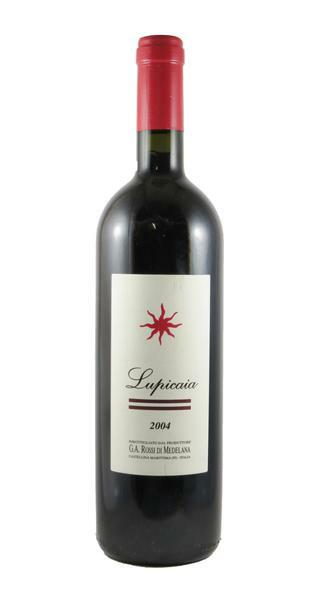 The 2004 Lupicaia is a Tasty supertuscan that evolved throughout the evening. Deep brick in colour with intense notes of raisins, chocolate and caramel, with a slight touch of savoury tomato juice with Worcester sauce. Refosco is a very old Italian family of dark-skinned grape varieties native to the northern Italian and neighbouring areas of Friuli, Gavi, Trentino,Istria, and Karst Plateau.